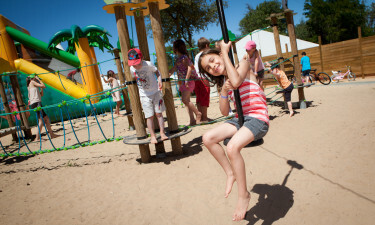 Found less than a kilometre from the beach and situated within 8 hectares of pristine nature, the luxury camping site of Signol offers its guests a combination of fun and relaxation. To learn more about this amazing camping holiday, please speak with LUX-camp. Why Should I Choose the Holiday Camping Site of Signol? A choice of mobile homes, tents and caravans. This luxury camping site is located only 800 metres from the beach. 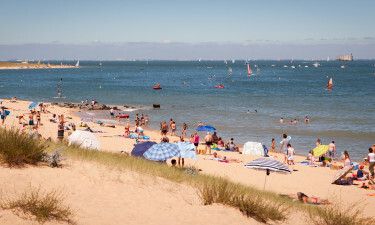 Boyardville beach is one of the most famous strips of coastline in Brittany. This French retreat has been popular amongst tourists for hundreds of years and its shores are known to provide some truly panoramic views of this beautiful region. Families can easily walk from their mobile homes to enjoy the splendours that this maritime environment has to offer and the beach is an excellent way to experience a bit of privacy during any stay. Signol is perfect for families with children, as there is on-site entertainment available as a standard feature. The young ones will always have something to keep them occupied and adults can rest assured in the knowledge that the entire family is provided with memories that will last a lifetime. A large pool located within this holiday camping site is also an excellent alternative for children who may be too young for the nearby beach. Signol understands that camping luxury is partially defined by the modern amenities that are present. Guests are able to use washing machines, tumble dryers and 30 private washing rooms. There is also a baby changing facility; ideal for anyone arriving with infants or toddlers. Power is supplied to each mobile home and in terms of sanitation, waste disposal facilities are located quite close. A casual restaurant and takeaway pizzeria are both found alongside one another. During the warmer months of the year, families can really enjoy an open-air dining experience. This venue is very relaxed and easygoing; ideal for group parties or a lazy lunch before heading to the beach, and there is also a takeaway menu for those customers who instead wish to bring the food to their pitch. 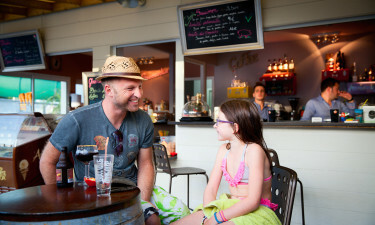 Hot and cold drinks can be found at the bar, and beers, wines, mixed drinks and camp specialities are all only moments away. A further sense of comfort is a reality thanks to a quaint grocery store that is found within Signol. As should be expected, common provisions such as toiletries, fresh fruits, vegetables, bread and snacks can be purchased. There is also a selection of camping accessories and an international newspaper stand for those who wish to keep informed while on holiday, and those with a sweet tooth will be impressed with the variety of pastries to be found here. More details regarding this luxury camping resort can be discovered by contacting LUX-camp today!